I haven't been able to blog for a while due to a rotator cuff injury. Still too painful to type much. 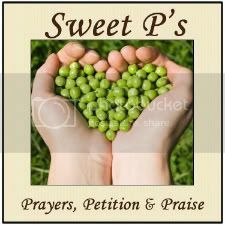 However, I would like to ask those of you who read this blog to please pray for a very special 17-year old, Michale Batts. I've been "Aunt Debbie" to Michael since he was 5 years old. This past Sunday, Michael was T-boned by a truck, pulling a horse trailer. He remains unconscious and in critical condition. He has a broken pelvis (both sides), broken ribs, cracked pubic bone and tail bone. He also has tears in his brain...the same type of injury that occurs in Shaken Baby Syndrome. He was taken off the ventilator on Thursday and is breathing on his own, with occasional help of a Bi-pap to make sure he is getting good, deep breaths to prevent pneumonia. He has shown intermittent signs of response to voices he recognizes as well as commands but nothing consistent as of yet. 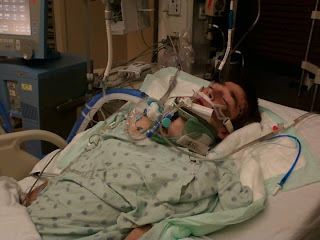 Please pray for God to heal Michael's brain injury and that he will wake up. 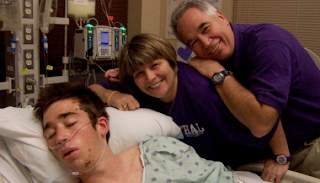 Also, please pray for his parent, Paula and Kerry Batts and younger brother, Nathan Batts. I fix my eyes on You. Draw me into your presence, Lord. And rest beneath the shelter of your grace. In your presence, is where I want to be. Father, blogging is hard, writing is hard, thinking is hard...being real and vulnerable are hard. I'm not myself these days Medication, MS and pain are affecting me physically, mentally, emotionally and spiritually...and I don't want others to know. I just want to hide and draw in to You...seek Your face...be in Your presence...it will all be better. I'm struggling to find You...hear You...see Your face, feel Your warm embrace. My mind is a maze of disconnected thoughts that can't seem to discern how to make sense of anything...not even Your Word...Your voice. I know You are here...You've promised never to leave me and You have proved faithful more times than I can count. It's just another test of my faith...blind faith...to trust You even when I can't find You. I greatly long for you. I have seen you in the sacred tent. There I have seen your power and your glory. 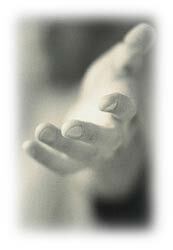 I will lift up my hand when I pray to you. I will be as satisfied as if I had eaten the best food there is. I will sing praise to you with my mouth. As I lie on my bed I remember you. I think of you all night long. Your powerful right hand takes good care of me." Resting in your powerful right hand...Amen. How thankful I am for your gift of rain today...such a pleasant sound to awaken me this morning. My mind so vividly pictured each raindrop washing away the pollen and drowning out the weeds that had wreaked havoc with my allergies the past two weeks. And I mustn't fail to mention the cool breezes I imagined, with the promise of cooler temperatures, this rain is to usher into North Texas. I felt new energy rising within me as I considered the possibility of inhaling long, deep breaths of the outdoors, able to finally emerge from my home cocoon, after this long hot summer...ready for long walks, picnics in the park, and the community of neighbors. Neighbors...that word quickly averts my mind to my neighbor, who has recently separated...then to my friend who made the heartbreaking decision to force her husband to leave, due to his repetitive abusive actions...and then another friend, trying to break a drug addiction and left her husband because he chose his own addiction over her. I think about others left homeless from last month's floods and wonder how they feel about today's rains...or another who is about to be forced out of her home due to family drama. I think of those whose lives have been shattered by sin...some by their own choosing and some merely helpless victims. And as I listen to the rain, my thoughts shift to thoughts of how You--Oh LORD, our Jehovah, the Almighty, self-existing One, I am that I am--can wash over all these needs...forgiving sins, healing wounded hearts. You are the healing rain who brings new, refreshing life to all which seems so broken, parched and desolate. You are the way for the lost, offering hope to the hopeless, providing strength to the weary. And so, once again, I cast my cares--for so many who are close and dear to me--at Your feet, knowing that You alone are God...You are faithful and You can be trusted. She could barely contain the excitement, as she handed me the package to open...the gift her family had brought me from China Town. I could tell this was no ordinary token of thanks for caring for their dog while they were away. I eagerly peered inside to discover two ornately decorated worry balls. "Now you don't have to worry so much, Aunt Debbie!" she squealed with delight. She was only ten years old, yet even she was aware of the impact and control worry had on me. Countless days and endless nights I would roll those worry balls around in my hands, begging God for victory over my fears and worry. Both seemed to have a death grip on me...a grip I could not break. Then, I began an in-depth study of my Father's love for me. The more I studied, the more confident I became in trusting Him. As I understood just how much He loved me--enough to physically separate Himself from His Son and send Him to earth; enough to watch His Son to endure suffering and persecution; enough to allow His Son to die a death on the cross; and enough to turn His back on His Son as He took my sin upon Himself--I realized that He can be trusted for absolutely everything. During that study of understanding His love, a phrase kept running through my mind. "My Father loves me too much to allow anything in my life that isn't ultimately for my good and His glory." That phrase has stuck with me and has become my anti-worry motto, if you will. I know that God does love me so much that everything He allows in my life is for my good and His glory. I may not immediately see it or understand it. But, I know that the God who loved me enough to send His Son for me would not allow anything in my life that wasn't for my good and His glory. To do so would go against the nature of God. Therefore, whenever something comes along that causes me to feel anxious or nervous, I remember how much God loves me, remind Him how much He loves me, and trust that it is somehow for my good and His glory. As for my worry balls...they are simply a great reminder that I have replaced my worry with a deeper understanding of my Father's love. I am linking up today with Faith Barista Jam as we share about Letting Go of Worry. Click on the link below to read more blogs on this subject. Today has been hard. I have struggled in many ways. Thank You for being who You are! Thank You that when my mind won't form the words to pray...You know. I cast all my cares on You and rest in You. It all started when I had that dream, several months ago...a dream in which my pastor preached a sermon entitled, "Expect the Unexpected from Unexpected People." Some may scoff, thinking a simple dream couldn't possibly revolutionize a person's life...but this particular dream certainly did mine. "Expecting the unexpected" demands faith...not just saying, "I believe," but letting go of normal and routine to grasp the unknown and sometimes unacceptable. It means disappointment when you fall back into the rut of expecting the expected. Yet the results are amazing blessings...beyond anything one could ever imagine. "Expecting the unexpected" has become the theme of my life, in conjunction with my desire to be a part of whatever it is God wants to do in and through me. My heart cry is to be an unexpected person in the lives of those I come into contact with, never missing an unexpected opportunity made possible by God. I've seen God open doors for me to minister to--and be ministered to--by people I would have never before expected. He has formed relationships in the most "unexpected" of circumstances, using the most "unexpected" resources. One such unexpected experience came just a few weeks ago when I got an email from somebody who is very dear to my heart...almost like a daughter. She had joined our family for dinner around Christmas but then had been busy for several months. So, we had communicated only online or by phone until June, when we celebrated her birthday. We met again in July and all seemed well as we laughed and talked over some delicious cheesecake. So, yes, it was very unexpected, when on August 1st, I got an email from her, informing me that she had a three-month old daughter. Her heart was breaking...as was mine. We met a few days later and I learned that she had nothing for her precious baby girl...not even a crib. (She was sleeping in a borrowed car seat.) My heart was in prayer prior to and during our entire time together, longing to be so filled with Christ's love...a love that doesn't condemn but points her to Him so that she may go and sin no more. I felt God leading me to have a baby shower for her and her precious daughter. This shower was about much more than meeting the material needs for her baby. The greater need was that she be showered with pure unconditional love. I knew she had few friends and that meant a huge step of faith for me...faith that God would provide her many needs...faith that people would respond. I approached her with the idea of the shower and she melted with disbelief and gratefulness that I would do such a thing. With her permission, I would invited several of my friends to the shower. I had never asked people to reach out to a total stranger, in this capacity, before. Yet, I knew God was calling me to do it. I truly believed this was one of those "expect the unexpected" events and only God knew who was to be there and who wasn't. So, I prayed about who to invite and sent out the invitations, trusting God to lead those He wanted involved to participate in whatever manner they could. The enemy tried to attack and thwart in so many ways--even a threat from the baby's father to cancel the shower--but I continued in prayer and stood firm...expecting the unexpected. None of her friends made it to the shower. She was nearly in tears an hour beforehand, and was hesitant to come, when she found out the last of her friends wasn't going to make it. I persuaded her to come on, knowing a little of what what awaited her. She definitely got some unexpected--and much needed--encouragement that day. I cannot begin to describe the joy that was evident in her face as she opened the many gifts people she didn't even know gave her and her baby. Every need she had was met...and then some...a swing, crib, glider (rocker), Bumbo, exersaucer, blankets, stroller, sling, toys, sheets, towels, and more clothes than she could have ever hoped for or imagined. When God speaks to people and they obey, His work is accomplished. She was blessed beyond words! As we helped her set things up at her apartment, she could not stop thanking me, expressing how much it meant to her. She experienced love like she has never known. I had no intention of gaining anything from this shower; the thought never even crossed my mind. This was all about God meeting her needs...it was about her feeling loved and encouraged...or so I thought. So, it was certainly unexpected when I found my own self relishing in an abundance of love and encouragement that night...and the days following. My own heart was filled to the brim and overflowing with the love that my friends had poured out on some one so dear to me. For you see, when they loved her, they loved me. That must be how God feels when we love His children..."when you have done it unto the least of these, you have done it unto me." I am in love with my Father God who has done a deep and miraculous healing in my life...healing me of wounds I thought were incurable...turning my scars into character qualities that He can use for His glory. I have a passion to share Him with others and to help them receive the healing that IS available only through Christ. Through my journey with Multiple Sclerosis, God began teaching me what He does in and through the trials in our life. I have discovered that it is indeed possible to "count it all joy" as James tells us to do--to "greatly rejoice" (as Peter says)--when faced with suffering. God led me to write a Bible study, "Joy in the Furnace" so that others may learn these life changing principles, as well. My prayer is that God will use all of my writings to touch and heal wounded hearts.